Turn off the water supply to the leaky faucet. In newer homes, water shutoffs are often located under the sink. In older hoes, there may only be one shutoff for the entire house. 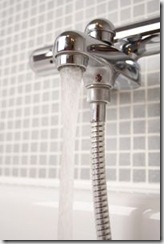 Open the faucet and drain out any access water within the pipes. Cover the drain with a plug or a towel. As you take apart the faucet, many of the parts are small, and you don’t want to lose pieces down the drain. Remove the faucet handle. Most handles are attached with a screw hidden by a decorative cap. Take apart the workings of the faucet and determine which part is in need of repair or replacement. While some home repairs may be easy to find and fix on your own, others may take a great deal of time out of your busy day or weekend. Consider calling Quality First Plumbing & Heating to help keep your home in top shape, and avoid water waste and higher utility bills with a simple home maintenance schedule.